Sunil Gavaskar was the first to get 10,000 Test runs and 30 centuries. (born 10 July 1949) is a former cricketer who played during the 1970s and 1980s for Bombay and India. Widely regarded as one of the greatest opening batsmen in cricket history, Gavaskar set world records during his career for the most Test runs and most Test centuries scored by any batsman. He held the record of 34 Test centuries for almost two decades before it was broken by Sachin Tendulkar in December 2005. Gavaskar was widely admired for his technique against fast bowling, with a particularly high average of 65.45 against the West Indies, who possessed a four pronged fast bowling attack regarded as the most vicious in Test history. His captaincy of the Indian team, however, was less successful. The team at one stage went 31 Test matches without a victory. There were incidents like crowd displeasure at Eden Gardens in Calcutta leading to multiple matches being disrupted, in response to the poor performance of the Indian team. Turbulent performances of the team led to multiple exchanges of captaincy between Gavaskar and Kapil Dev, with one of Gavaskars sackings coming just six months before Kapil led India to victory at the 1983 Cricket World Cup. Growing up in Mumbai, Gavaskar was named Indias Best Schoolboy Cricketer of the Year in 1966. After scoring 246, 222 and 85 in school cricket in his final year of secondary education, before striking a century against the touring London schoolboys. He made his first class debut for Vazir Sultan Colts XI against an XI from Dungarpur, in 1966 67, but remained in Bombays Ranji Trophy squad for two further years without playing a match. He made his debut in the 1968 69 season against Karnataka, but made a duck and was the subject of derisive claims that his selection was due to the presence of his uncle Madhav Mantri, a former Indian Test wicketkeeper on Bombays selection committee. He responded with 114 against Rajasthan in his second match, and two further consecutive centuries saw him selected in the 1970 71 Indian team to tour the West Indies. He is the first batsman to score 10,000 runs. Gavaskar was captain of the Indian team on several occasions in the late 1970s and early 1980s, although his record is less than impressive. Often equipped with unpenetrative bowling attacks he tended to use conservative tactics which resulted in a large number of draws. During his tenure Kapil Dev emerged as a leading pace bowler for the country. He captained India to nine victories and eight losses, but most of the games were drawn, 30. Born 10 July 1949, Bombay. Major Teams India, Somerset, Bombay. Batting Style Right Hand Batsman. Bowling Style Right Arm Medium. Currently retired from First Class Cricket Sunil Gavaskar writes regular columns in Newspapers, Sports magazines and for The Professional Management Group. He is also a very popular Television Commentator on International Sports Channels. Sunil Gavaskar has written three books SUNNY DAYS, IDOLS and ONE DAY WONDERS. On the ocassion of his 50th birthday in the year 99 Rupa Publications has come up with a compilation of all his three books in one called THE SUNIL GAVASKAR OMNIBUS. 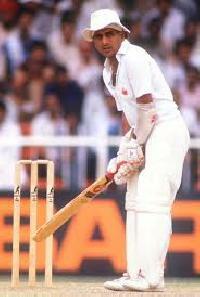 Sunil Gavaskar was born on the 10th of July 1949 at Mumbai, and started playing Cricket right since his school days. In the year 1966 he was declared the Best Schoolboy Cricket of the year in India. He had scored 246, 222 and 85 runs in School Cricket. He made his debut in Ranji Trophy in the year 1968 69 with a match against Karnataka although he scored a duck in the match and was out for a 0 score. But in the next match against Rajasthan he scored 114 runs and hit 3 consecutive centuries in the tournament. The Test Cricket debut of Sunil Gavaskar was made in a Test match against West Indies played at Port of Spain on 6th of March 1971. He scored 132 runs in this match, getting India its first over Test victory over West Indies. In the 5th Test match between India and West Indies, he scored 124 and 220 runs in both the innings, helping India to score its first Test Series victory over West Indies, which was not repeated for a period of 35 years to come till the year 2006. 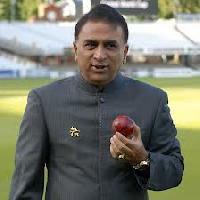 Gavaskar made his One Day International (ODI) Cricket debut in an ODI match against England played at the Leeds ground on 13th of July 1974, where he scored 28 runs off 35 balls. In his overall Test Cricket career, Sunil Gavaskar played 125 Test matches and scored 10122 runs including 34 centuries and 45 half centuries, with an average of 51.12 runs and a highest score of 236 Not Out. Regarding his ODI Cricket career, he played 108 matches. He scored 3092 in them including 1 century and 27 half centuries, with an average score of 35.13 runs and a highest score of 103 runs. Sunil Gavaskar has been conferred upon Padma Bhushan, and had been appointed the honorary Sheriff of Mumbai in the year 1994. Having written 4 books upon Cricket, he has also been named the advisor of the Indian Cricket team, and the Chairman of the ICC Cricket Committee. In his honor, a Test Cricket Series between India and Australia has been named jointly after him and the Australian Cricketer Allan Border, as Border Gavaskar Trophy. Gavaskar very much became a public figure, winning the highest of national and state awards.Despite all these achievements, he is easily accessible and humble. He has the charm and the ability to disarm his critics and win friends. 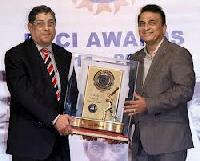 By his outstanding performances, Sunil Gavaskar won many man of the match awards. Sunny Gavaskar was the member of the world cup winning team in 1983. In the year 1985, Sunny led the team to victory in the World Championship in Australia. He was named Wisden Cricketer of the Year in 1980 and was also awarded the Padma Bhushan by the Indian government. 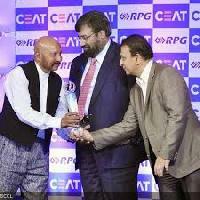 He has served as the Sheriff of Mumbai and is now a writer and commentator. He has written an autobiography, Sunny Days . His son, Rohan has also represented India at international level. Sunil Gavaskar had a great cricketing heritage in his family. His father was a good club cricketer in his days. Gavaskars early obsession for the game was harnessed by his mother. 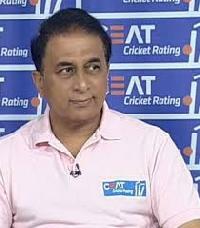 Cricket fascinated Gavaskar ever since he was a little boy. In his childhood, Sunny used to play cricket with his mother in the small gallery of their apartment. He played with his mother with a tennis ball. From the very begging he showed a lot of promise. Once, playing with his mother Sunil hit a straight drive so hard on her face that her nose started bleeding.Sunnys obsession with the bat became so strong that whenever he was out, he would walk home with the bat and the ball, which usually brought an end to the game as no body else in the neighborhood had the bat and ball. To avoid spending long hours in the field, his friends used to appeal at a decided point, no matter Sunny was out or not. Seeing his potential, Sunil Gavaskar was sent to the St. Xaviers High School as it had a rich tradition of cricket.